The 6th Legislature's Bill #2699, Act 1556 established VICA on January 25, 1966. In 1987 the Reorganization Act 5265, Section 405, confirmed the original act established in 1966. This Act established VICA within the Department of Planning and Natural Resources. VICA's mission is to enrich the cultural life of the Virgin Islands through leadership that preserves, strengthens and makes accessible, excellence in the arts to all Virgin Islanders. The Council consists of a nine member Board of Directors which is appointed by the Governor of the Virgin Islands and confirmed by the Legislature. There are four members from St. Croix, four from St. Thomas and one from St. John. Over the past 50 years the Council has continued to secure federal and local funds to be re-granted Territory-wide. Schools, churches, craft artisans, culture bearers, authors, CD, DVD and film productions, individual visual and performing artists and art organizations (to name a few), have been recipients of VICA funding. 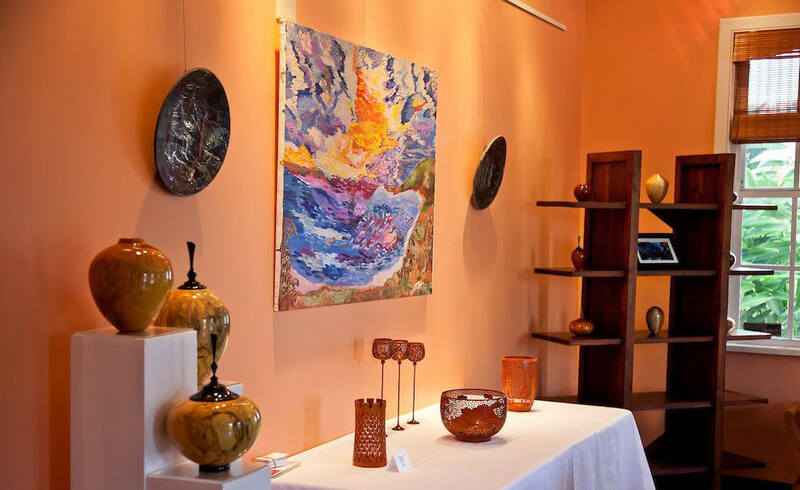 The Council also orchestrates opportunities for Virgin Islands artists to participate in exhibitions and festivals; thus far VICA has coordinated events in Trinidad and Tobago, St. Kitts and Nevis, Guadeloupe, Ghana, West Africa, New York, Washington, D.C. and Venice, Italy. Through a competitive grant review process, each year VICA's Board of Directors awards an average of one hundred and fifty grants totaling approximately $400,000.00. In addition, the Council spearheads special projects such as Poetry Out Loud, The Big Read, The Congressional Arts Competition, Audience Development, The White House Christmas Tree Project, and Artists in Residency Program. These projects affords students to represent the Territory in national events and provide opportunities for the elderly, the disabled and at risk youth to view, enjoy or participate in living theatrical performances, musical concerts, operas, dance and ballet and other art activities that they would not normally be able to attend. The staff of VICA consists of the Executive Director and Special Projects Coordinator on St. Thomas and the Administrative Officer located on St. Croix. VICA encourages artists to use their offices on St. Thomas and St. Croix to implement community-based art activities, individual/group performances and exhibitions. The St. Croix office is located in the Dorsch Cultural Center at #30 Strand Street, Frederiksted, St. Croix and at 5070 Norre Gade, Ste. 1, St. Thomas.